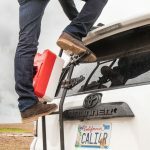 Fuel cans and water storage are both important for longer trips. After heading out for the weekend, you never know where trails will take you. Whether you have a set path or start wondering off on random roads, it’s nice to have either backup fuel or backup water when you need it. 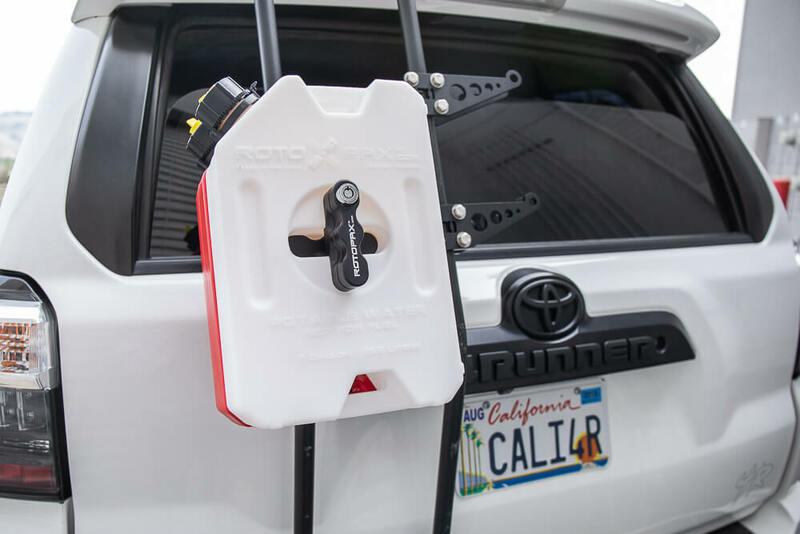 Both RotopaXs and Jerry Cans have their own unique features and benefits. Depending on your needs, you have many options for fuel and water storage. 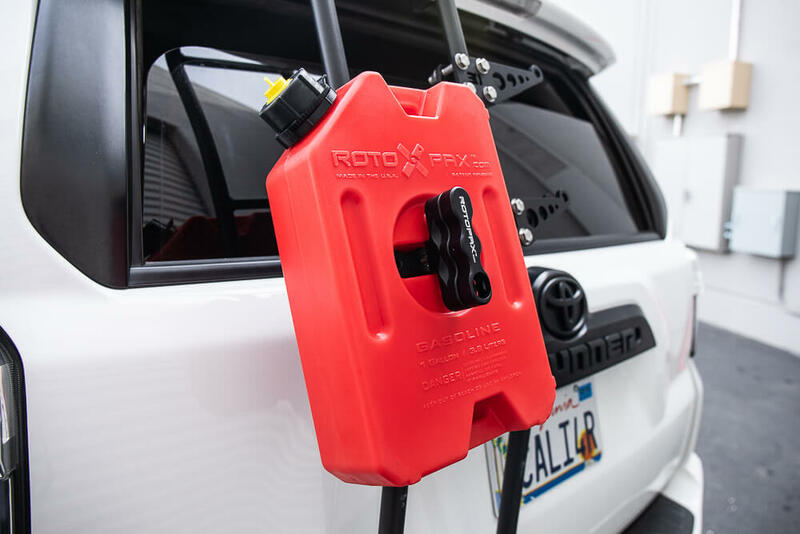 Fuel storage is pretty straightforward with RotopaXs and Jerry Cans being the top solutions for mounting and ease of use. With water, on the other hand, you have many more options. Either way, water or fuel, you need solutions to keep these liquids secure. There are many options when it comes to mounting fuel cans. 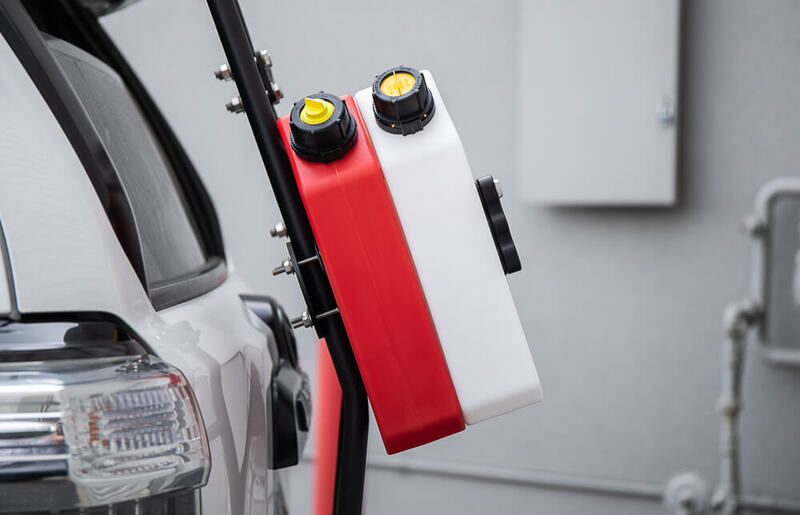 Whether you are looking to mount a RotopaX branded fuel carrier or the popular Wavian cans (jerry cans), you will need to figure out some type of mounting bracket or housing. 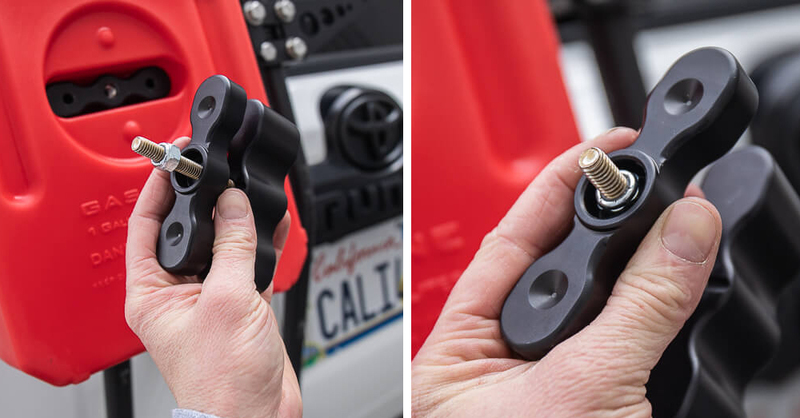 Many rear bumpers on the market offer single/dual jerry can mount housings, as well as RotopaX mounts. If you don’t have a rear bumper or it’s a few steps away in your build, then you have other options. 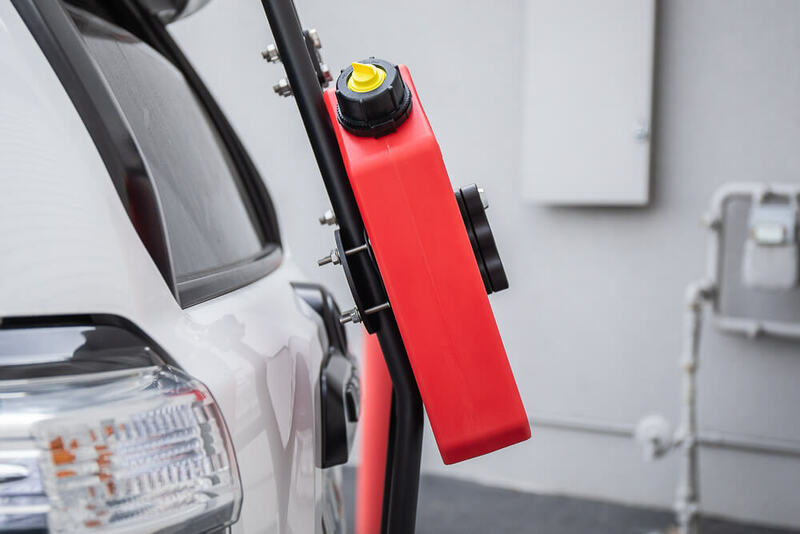 For the drivers out there with a ladder mounted to their cargo door, the Overland Equipped mounting bracket is a great compliment if you are looking to mount fuel cans, and more specifically, looking to mount RotopaX cans. Their bracket fits many straight line off-road ladders (like the Gobi Rack). For curved ladders like the BajaRack ladder, you may have to look another direction. 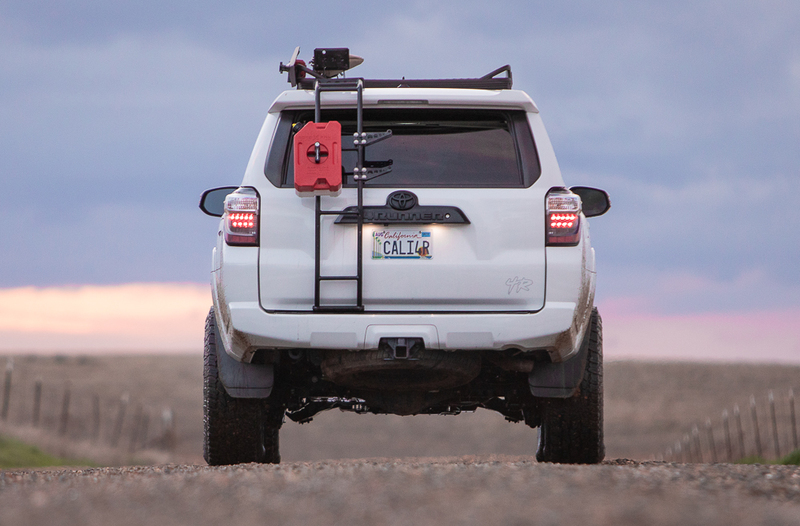 This simple bracket from Overland Equipped solves many RotopaX mounting needs, especially for those of us with a ladder, and not a full rear bumper. The Overland Equipped bracket is pretty convenient. You can assemble the bracket, and leave your RotopaXs mounted or take them off. This makes taking the RotopaX containers on and off fairly seamless. If you are heading out for the weekend, just throw your RotopaXs on. Or, if you know it’s going to be a while before you head out again, just leave the containers on a shelf at home. Meanwhile, you can leave your bracket mounted to the ladder, ready to go. For the RotopaX mounts, you have a few options. If you plan on only mounting one RotopaX storage container, then you can choose to mount the pax with the regular pax mount or the locking pax mount. The difference is exactly what it sounds like. 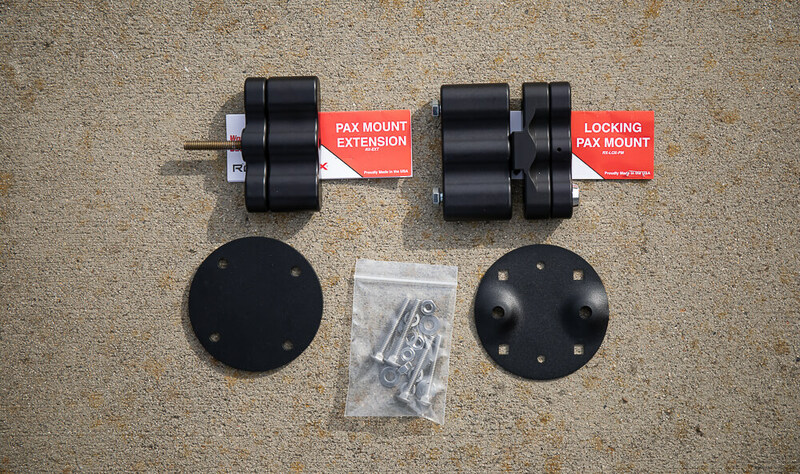 The locking pax mount comes with a lock and key giving you the ability to lock your pax containers to the Overland Equipped mounting bracket. The classic mount does not lock so you risk having them stolen. If you are planning to run two RotopaXs then you need the pax mount extension. The extension allows you to double up your pax containers while still utilizing the classic pax mount or the locking pax mount. 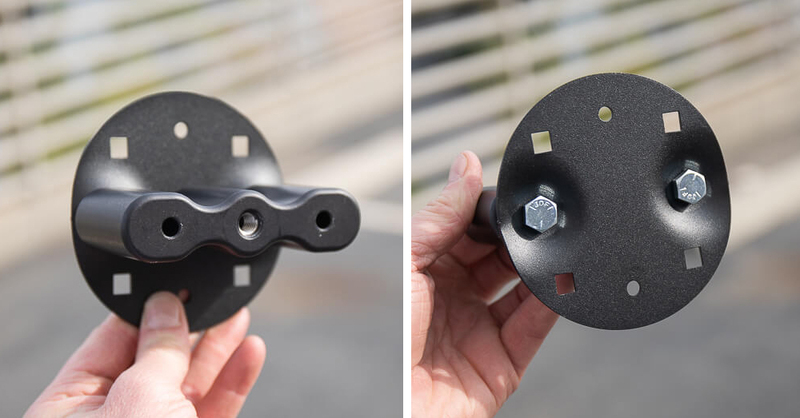 The RotopaX mount kit provides the hardware to attach the spacer to the bracket. The RotopaX bracket has square cutouts to make threading down the nuts easy. 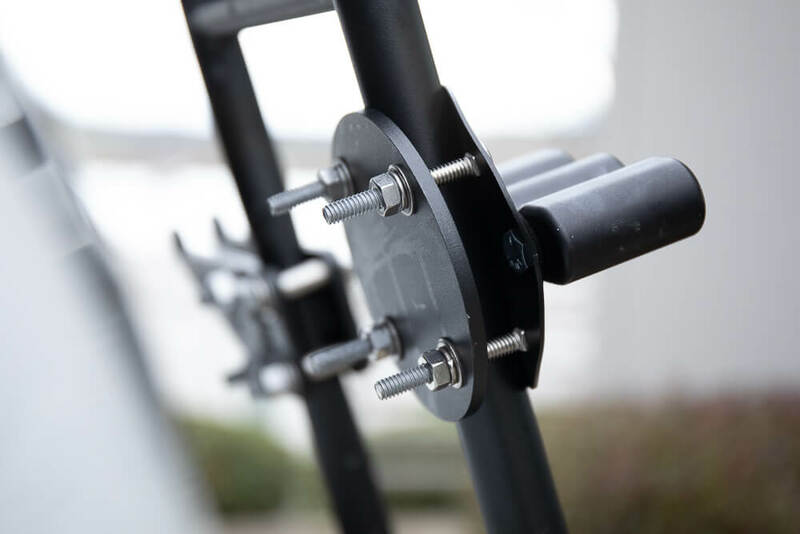 The bolts included in the RotopaX kit are about 1″ which are too small to mount to a ladder. 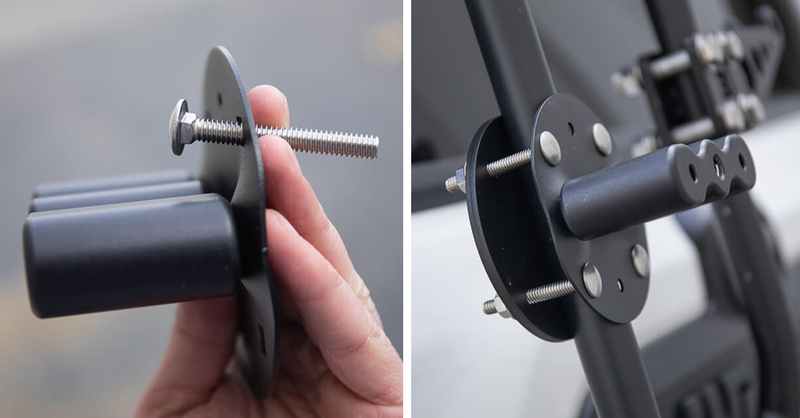 Overland Equipped ships their mounting bracket with much longer bolts design to work perfectly with the RotopaX bracket. Now would be a good time to apply anti-seize lubricant on the stainless steel bolts provided by Overland Equipped. Lightly thread down the provided hardware from Overland Equipped. Make sure you position your brackets where you want them to sit in their final position, then tighten them down all the way. If you only have one storage container, you can use your locking pax mount and tighten it down. Unlock the mount and twist the top handle about four times or until you have lined the mount up with the corresponding tabs on the storage container. Make sure your RotopaX and mount are tight and then lock it up. If you are going for two storage containers, you will need the extension bracket. 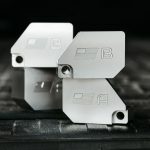 The extension bracket has a retainer bar that you can adjust depending on the size of your containers. Start by unscrewing the nylon lock nut to your desired setting. Once you find the best setting for your containers, screw it into the base pax mount (locking or non-locking – whichever you have). Just like the single mount, turn the mount dial four or more times or until the mount sits tight against the mounting bracket. If you are looking to mount some RotopaXs on your ladder, Overland Equipped has the solution. Solid products, fast shipping, and excellent customer service. this is awesome, thank you brenan. I have been wondering how to mount my RotoPAXs to my ladder for awhile now. 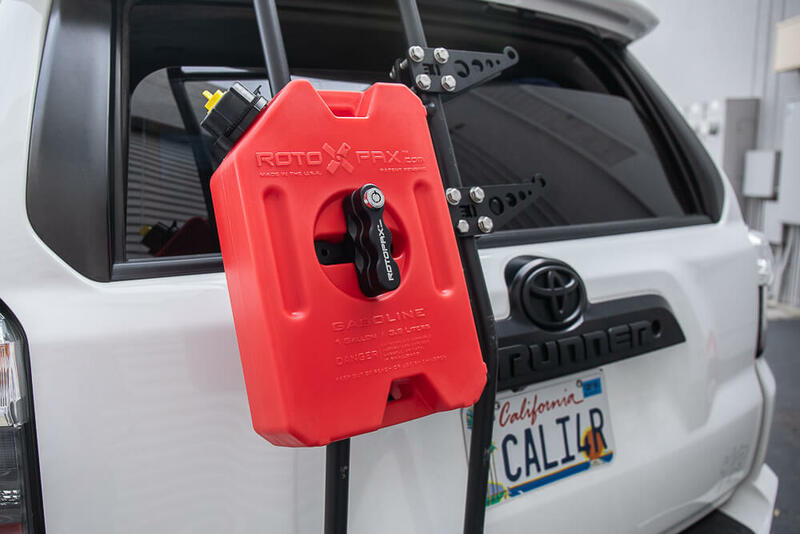 I have seen a bunch of people do it but was always kind of curious how that single bracket that Rotopax provides connected to the roof rack. I looked at home depot for a few options but nothing clicked. This is awesome, thanks again man! Another good write up! Think you’d be able to get two sets of these mounts with the extensions and get 4 Rotopax on a Gobi ladder? Hi! Two questions… (1.) Is this for 2 gallon packs? I’m looking at going with one water and one fuel, both in 2 gal. Just buy one standard bracket and an extension? I was looking to buy and wasn’t sure as it got into other sizes of packs, extensions, etc. (2.) What are the brackets on the right side of your ladder? Looking for places to securely mount jack, shovel, etc as I’ll have a tent on the gobi most of the time 🙂 Thanks. And thanks for all the great write-ups!